You are here: Home / Frequently Asked Questions / Do shutters provide blackout? One question that we are asked on a regular basis is how much light do shutters block out? Shutters alone do not provide complete blackout but there are a variety of room darkening solutions to help you achieve that. In truth, nothing can create true blackout except a room without windows or doors. Light will always find its way in, around or through your window treatments, or between the door and door frame. Do window shutters provide better light control than blinds and curtains? Shutters are actually one of the better window dressings for controlling the light in a room and can create a very dark environment when fully closed. Compared to Venetian blinds and curtains, shutters are far more effective at light closure. 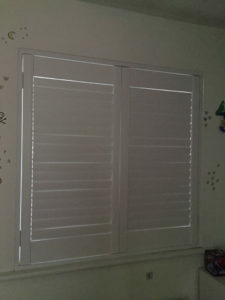 And shutters are much better than lightweight fabrics such as Roman or roller blinds. Blackout blinds aren’t the perfect solution either! Even blackout fabrics and specific blackout blinds may actually allow some light to penetrate the room as it will come in around the sides or through cord holes. 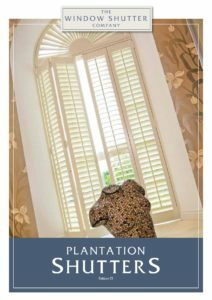 Plantation shutters will allow light seep between louvres and also between the panel and the frame. However, this is often less light than other conventional window dressings and most clients will be pleasantly surprised at the increase in darkness which can be quite dramatic. In addition, shutters are really the only solution for unusually shaped windows, including bay windows for example.